I sing the Songs of 1921 to 1966 Big Band Sinatra. Book me today for all your special occasions. I am a Proud Member of Delaware Council of Activity Professionals. I have been singing professionally onstage since I was t​he tender age of 2. I tribute all my Shows to The Inspirations of my Grandparents. I am dedicated and love what I do. Music 24 / 7. Take a chance with me by Booking, Thank you sincerely. I perform all across The United States. This is My Dream. 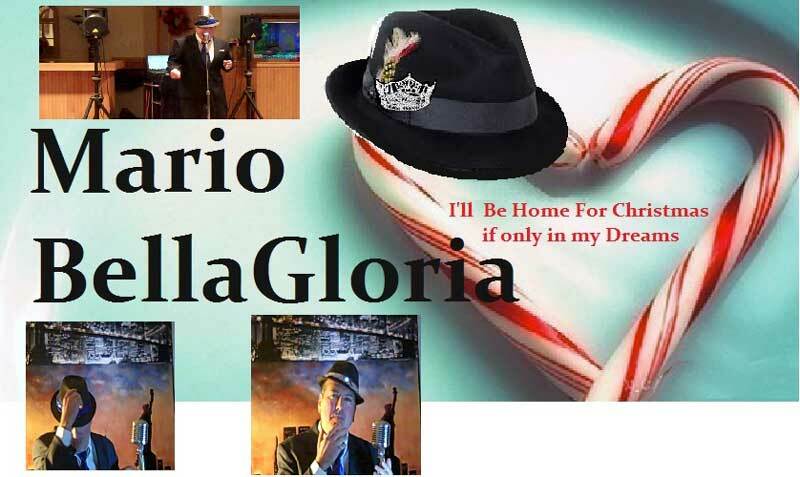 I want to sing for you, My One Man Big Band Show. The songs from the Cities of New York, Chicago, Hollywood, Las Vegas, San Francisco. I’ve been playing music for 30+ years. I’ve recently started playing in retirement homes. I’ve found it to be quite rewarding to be able to take the residents “down memory lane” To see them smiling and singing along with the songs they grew up with is priceless! I have my mother, Mary to thank – she taught me all the old songs and gave me my first guitar at the age of 11 and I’ve been playing every since. My Repertoire consists of songs from the turn of the century all the way into the 1910’s. 20’s, 30’s, 40’s, Old Class Country and a variety of other music! If we are all having a good time and I get to play longer… That’s great!! 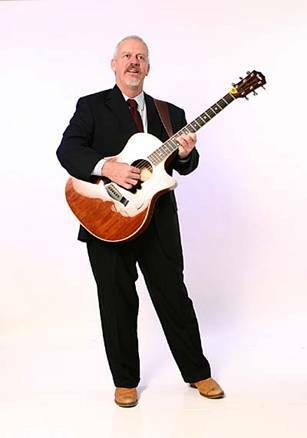 Beginning in the year 2003, Jon Pheasant, with a passion for music and a fascination with the Beatles, launched his career at the age of 14 performing five to six nights per week as a street musician in Ocean City, Maryland. This was followed by playing at several local establishments and venues as well as performing at a Maryland music theatre, and with a Beatles tribute group "The British Invasion Experience." Currently making a decision to follow his passion in music as a full time career and to honor the legacy that the Beatles left to music history, Jon has developed a solo production entitled "Flashback." In this tribute customized for senior care communities, you will experience through song each Beatle era from 1962 to 1970. 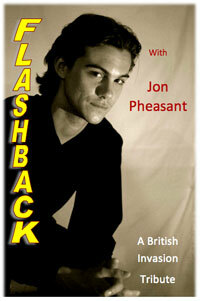 So grab your friends, come together, and flashback with Jon Pheasant! I have found that my audience lets me know what songs they really like and appreciate it when I play the music they know best, so I look for well known popular standards, big-band songs and show tunes by artists such as Johnny Mercer, Duke Ellington, George and Ira Gershwin, Irving Berlin, Bing Crosby, Glen Miller, Tommy and Jimmy Dorsey, Frank Sinatra, Dean Martin, Tony Bennett, Louie Armstrong, the Andrew Sisters, Glen Miller, Cole Porter and Nat King Cole. 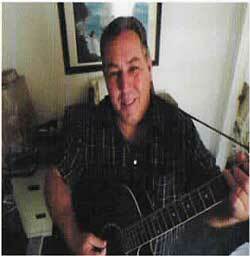 I mix in a few 50’s rock-n-roll songs, maybe a couple county songs and a boogie-woogie or polka to keep it moving. 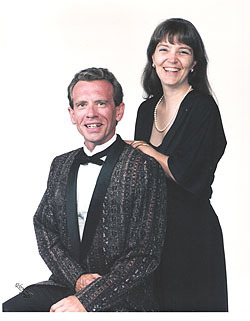 We are a very versatile musical duo with professional backgrounds in music, art, education, and business and over thirty years of experience in the entertainment field. We have a varied repertoire including classical, Dixieland jazz, oldies from the turn of the century to the 60's, show tunes, country western and ethnic music. We play everything from sing-alongs to gentle listening and dance music. 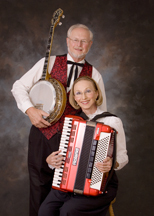 We can work as a duo using a Roland digital V-Accordion, tenor banjo, mandolin and 1928 National tenor guitar or as soloists using same instruments plus piano/keyboard. We also work acoustically or amplified to suit your needs. We have played for a variety of venues: community and ethnic events, restaurants, church and political affairs, ceremonies, private events, cocktail and wedding receptions, and on riverboats. Our specialty is senior facilities where we perform themed programs: Mardi Gras, holidays, Oktoberfests, ethnic origins, seasonal, etc. We also stroll to play for residents who are unable to attend these programs. We have performed in New York, Maryland and Delaware. 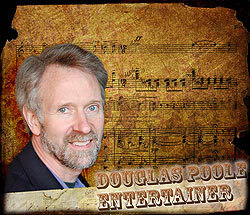 I would like the opportunity to speak with you about a special type of entertainment service. However, first I would like introduce myself. 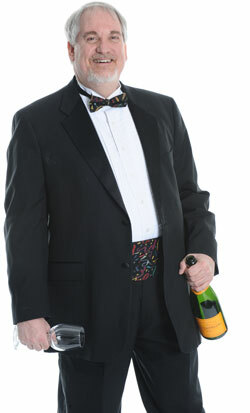 My name is Neil Farber and I am an entertainer with Celebrations Disc Jockeys. Celebrations Disc Jockeys specializes in the entertainment of seniors in nursing homes, assisted livings, independent living, senior centers and rehabilitation units. In the last eighteen years of working with seniors, I have performed over 3,000 parties with a variety of themes, from Sock Hops, Monthly Birthdays, and Senior Proms to Holiday parties. My performances are very interactive by getting the residents involved in a variety of motions within their skill level and ability. My goal is to make a connection with your clients through music, motion & memories. The time & type of event is completely up to your needs. Thank you in advance for considering our services for your residents. I hope to hear from you. For more information, go to our website, celebrationsdiscjockeys.com or call at any of our numbers (1-215-745-4099, 1-610-278-9898, 1-856-988-1375). For your convenience, you can reach me at neil@celebrationsdiscjockeys.com. 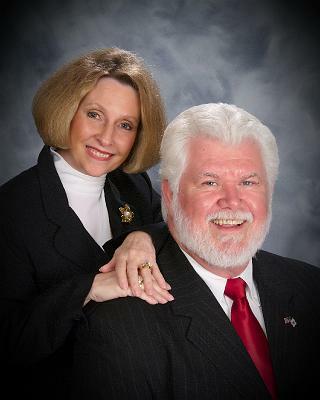 Diane Altevogt and Don McLeod are certified in activities by NCCAP. Our shows are designed for entertaining first and foremost. Each month a new song list is featured highlighting holidays and special events unique to that month and or event. Special programs at your request can be arranged, such as birthdays, anniversaries, weddings, funeral or memorial services, Hawaiian luau, country & western, '50's rock & roll, or a good old fashioned sing-a-long. 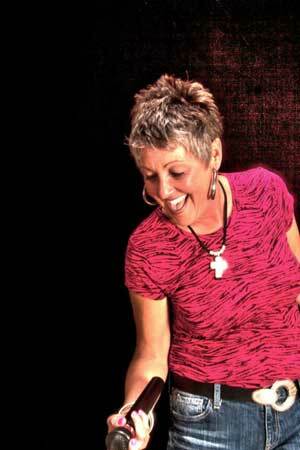 If all you need is background music for your event, Diane can play your piano or bring her own keyboard. Don has a "Fitness Fun" exercise program that is just all that. Hello! 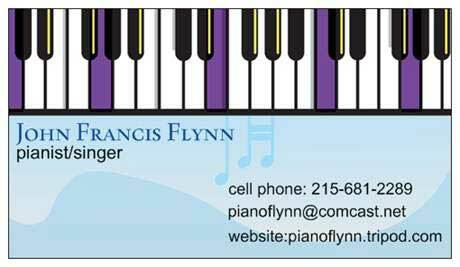 My name is John Flynn, I'm a pianist/singer who's been playing professionally for 35 years. I am currently working the solo piano-bar and cabaret circuit, but have also played, and fronted in bands for many years, so I know how to entertain any audience, and also have a vast repertoire from the 1920's on up. I have entertained the seniors in Woodbury, NJ, also at Summerville in Manahawkin, NJ, and at Harbor Health Care in Lewes, De. I was received very well, and have been asked back for fall as well. I also work with several female singers who are amazing, if an extra voice or personality is desired! There are thousands of ways to share good will and promote well being, the most benevolent is music. sharing the theraputic properties of music is an art. I believe in “theraputic entertainment “and as a musician and an artist enjoy bringing enjoyment and respect to young and old. my references are extensive, I offer performances thru Maryland, Delaware, Pennsylvania, and New Jersey. and, my little dog Minnie “the moocher” can come along to warm hearts! I have over 38 years of performing experience to bring. my style is clear and articulate in consideration of my audience. I perform music ranging from the 30’s thru current styles. my song book contains over 250 selections and grows daily! 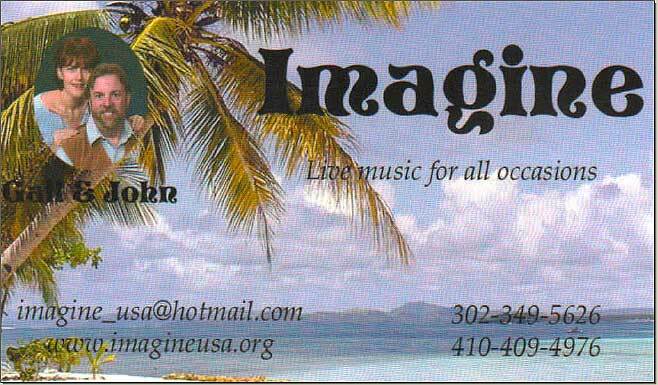 Singer, songwriter and entertainer, hails from the Baltimore area. 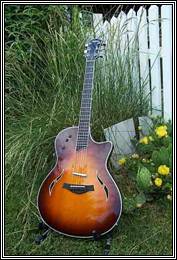 Viki, (Victoria D’Eugenio), comes from a large musical Italian family. Her father, (the former),“Tony Dee”, trombone player, writer and vocalist, was forever her inspiration. After years of watching him perform, she pursued her own career in Music. 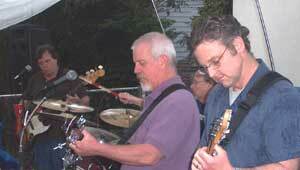 She, along with lead guitarist Lloyd Haller, formed the dance band “Applause”. 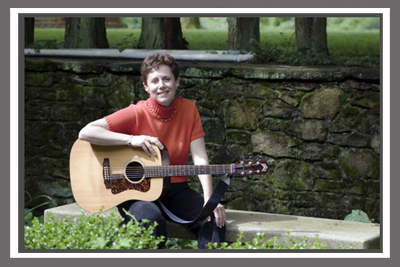 After 5 years on the road, the band members went in different directions allowing Viki to pursue her desire to write and produce her own music. She met producer/engineer, Marc Spencer, who together created Viki’s first CD “Exposed.” Seven of the nine songs on this album are Viki’s originals, which to many critics resemble the taste of Phyllis Hyman and Anita Baker. Each of these songs seem to spell out self-experience and expressions of memories made, and love longed for. This album captures the passion and soulful delivery only “Viki “could bring to her songs. Viki recently released her second CD ,“DRIVE”, in which one of her originals “Chance to Dream”, was featured on the “Lifetime Channel” series , “Missing” starring Vivica Fox. Among her credits, was the opportunity to open for comedian, “Paula Poundstone” ( April 2008) and most recently featured as the “Local Female Vocalist” at the 2008 Rehoboth Beach Jazzfest Jam Session w/ Kim Waters and Gerald Veasley, AND AGAIN IN 2009 WITH BRIAN CULBERTSON BAND. Viki’s career has placed her in such venues as the Governors Ball, Clinton’s Inaugral, Preakness Grandstand Festivities, Baltimore Orioles Opening Day, as well as numerous fundraiser events. Viki is the kind of entertainer that knows how to read a crowd. Her versatility is the key to every successful affair… Whether you’re in need of a cocktail hour or wedding, Viki has all the ingredients to set the tempo for your party !